Tuinroete Agri focuses on a wide range of quality Farm and Home Products at competitive prices, with good service delivery to farmers, gardeners, building contractors, paint contractors and DIY enthusiasts in our region. With its Head Office situated in Mossel Bay, Tuinroete, Agri has 18 branches along the Garden Route and Langkloof. Travel Counsellors is a home based, one stop Travel Agency with an excellent 42-year track record in the industry building up all the skills, expertise and qualifications to handle the most demanding travel accounts. A huge bonus for our clients is the company’s Travel Trust, which ensures your monies are protected in the event of a supplier’s failure. 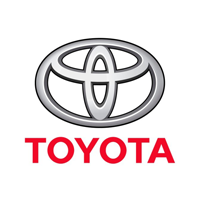 Toyota Mossel Bay offers a range of new Toyota Products backed up by an excellent workshop and after sales department. Along with the Automark approved Pre-owned section we are truly a one stop facility for all your motoring needs. Terblanche Properties is big enough to provide you with the expert real estate services you need but nimble enough to care. One of the largest independent property groups in the Garden Route, you will find our offices in prominent areas in Mossel Bay, Great Brak River and Albertinia. Talk to us about sales, rentals, sectional title management, holiday rentals and auctions.